The phonology of any language is a system, so that a change in one part of the system will affect some or all of the other parts. English is a very rhythmical language, so that a learner who can maintain the rhythm of the language is more likely to sound both natural and fluent. The two components of the system which have the greatest influence on rhythm are sentence stress and the various features of connected speech, i.e. what happens to words when we put them in an utterance. In any sentence, some words carry a stress. These are the ‘strong’ or ‘lexical’ words (usually nouns, verbs, adjectives and adverbs). The remaining words are ‘grammatical’ words and are unstressed or ‘weak’ (conjunctions, pronouns, prepositions, auxiliaries, articles). The rhythm produced by this combination of stressed and unstressed syllables is a major characteristic of spoken English and makes English a stress-timed language. In stress-timed languages, there is a roughly equal amount of time between each stress in a sentence, compared with a syllable-timed language (such as French, Turkish and West Indian English) in which syllables are produced at a steady rate which is unaffected by stress differences. Sentence stress is an important factor in fluency, as English spoken with only strong forms has the wrong rhythm, sounds unnatural and does not help the listener to distinguish emphasis or meaning. Speed is also a factor in fluency. When we speak quickly, we speak in groups of words which are continuous and may not have pauses between them. This causes changes to the ‘shape’ of words. Unstressed words always sound different when used in a sentence as opposed to being said in isolation. Added to these is the use of the schwa, the most common vowel sound in English. Many unstressed vowel sounds tend to become schwa, and because it is an important feature of weak forms, learners should be able to recognise and produce it. right kind why did you? This might be followed by a categorisation task, from which rules or guidelines could be elicited. Provide natural models of new target language before introducing the written form. Use natural language themselves in the classroom. Encourage learners to listen carefully to authentic speech. Integrate rhythm and other aspects of phonology into grammar, vocabulary and functional language lessons as well as listening and speaking activities. A number of useful teaching techniques are listed here, focusing either on rhythm as a whole or on contributing aspects, and divided into recognition and production activities. Speed dictations (the boys are good / the boy is good / the boy was good). Dictogloss and other variations on dictation. Ask students how many words they hear in a sentence ( to practise recognising word boundaries). Ask; "What’s the third / fifth / seventh word?" in the sentence. Teaching weak forms and contractions at the presentation stage, and highlighting these on the board. Matching phrases to stress patterns. Using tapescripts. Marking stresses and weak forms. Using recordings of deliberately ‘unnatural’ English. Physical movement (finger-clicking, clapping, tapping, jumping) in time to the rhythm of the sentence. Focus on stress in short dialogues (kn you? Yes I can). Making short dialogues, paying attention to stress and rhythm (How often do you speak English? Once in a while). Headlines, notes and memos (build the rhythm with content words, then add the rest). Reading out short sentences with only the stressed words (How…come…school? ), then add the other words without slowing down. Reading aloud (with plenty of rehearsal time). Focus on short utterances with distinctive stress and intonation patterns and a specific rhythm (long numbers, ‘phone numbers, football results). Poems, rhymes and tongue-twisters (limericks are good at higher levels). Songs (the rhythm of English lends itself to rock and pop music, while rap involves fitting words into distinct beat). Because phonology is a system, learners cannot achieve a natural rhythm in speech without understanding the stress-timed nature of the language and the interrelated components of stress, connected speech and intonation. Attention to phonology begins at lower levels and builds up as learners progress towards fluency. There are specific phonology courses available, while most integrated syllabuses include pronunciation activities which run in parallel to structural, functional and skills development. 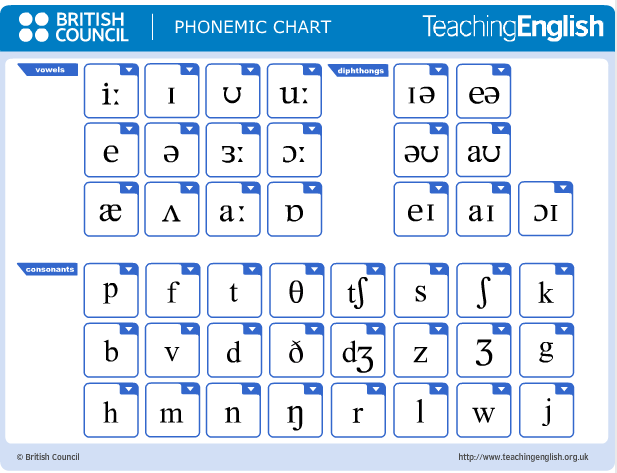 Above all it is important to remember that there is a place for phonology in nearly every lesson. Kelly, G. How to Teach Pronunciation, Pearson, 2000. Kenworthy, J. Teaching English Pronunciation, Longman, 1987. I am very interested in this topic, but I do not know where to find out the materials that help the teacher of english to improve his/her pronunciation. Could you please send me some websites that are useful for improving the pronunciation. I would be grateful if you do not mind sending me some of them via my email : h06tnguy@du.se. Thank you so much in advance. I am looking forward to hearing from you soon.